As of 5/22/18, The Lighthouse Road and Plantation Drive Landscape Enhancement project is on target for completion within the next two weeks, weather permitting. 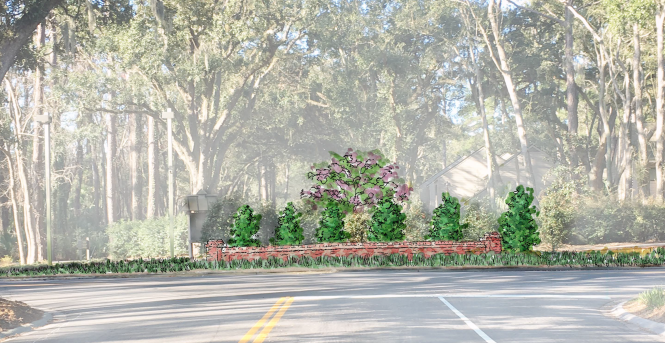 This enhancement project features a new brick retaining wall (mock rendering shown above) which replaced rotting rail road ties that supported the leisure trail. The next phase of the project will involve the installation of irrigation and landscape plant materials.